The Canon 100mm macro lens was on my Want List for such a long time, next to the Canon 10-22mm Ultra Wide-Angle. Oddly, once I did get it, I never used it, and it sat gathering dust in the cupboard for a couple of years. Now it is my go-to lens for doing still life, food and of course, macro photography. Why is it my favorite lens? Sharpness, image quality, color, and versatility – it has it all! I know when using this lens it is going to pick up absolutely every detail, and when it is sharp it is crystal clear. Unfortunately, due to the combined weight of the lens (625g) on my Canon 7D MK II, I find it difficult to handhold and get sharp shots. So I use it on my tripod to guarantee the focus is bang on. This lens has a richness to the colors that I appreciate, it gives the best color reproduction of any of my lenses. Also when you are shooting at its native 2.8, the soft background blur is quite delicious as well. Finally, the versatility of this lens, given it is a macro lens, is impressive. I use it for macro, food photography, flower photography, and other still life subjects. It is also a favorite lens for portrait photographers due to the factors that make it my personal favorite. It’s quiet, it’s fast and it’s a lovely lens to use. Once I mastered the art of fine focusing with a really tiny depth of field and was able to consistently get sharp shots, the quality of the images impressed me more and more. Working with natural light in my home studio sometimes means the light is not always abundant. Or possibly you need to filter it quite heavily so you don’t blow out the highlights on some whipped cream or icing. So working in slightly less than ideal light conditions is where I find this lens really comes into its own. With a 67mm filter diameter, it has a lot of surface area to bring in the available light. The native f/2.8 aperture captures all the light possible. While I might have to increase ISO a small amount, it is not enough to affect the quality of the image. With such high image quality, capturing the finest small details really adds character to food shots taken with this lens. Water droplets on fruit or the tiny hairs on a raspberry become things of wonder, brought into view by the capabilities of this lens. Doing photography of flowers is what finally forced me to get my Canon 100mm lens out of storage and start using it. I had become interested in still life photography and was using flowers as the subject to base my compositions around. Flowers offer so many opportunities to be creative with this lens, you can shoot the whole flower, move in to shoot just a portion of it, or really get into the macro side of things. The lovely colour and soft bokeh suit flower photography very well, and I enjoy using it a great deal. It is a lot of fun to experiment with areas of selective focus or just using depth of field in unexpected ways. There is a whole world of things too small for our eyes to see naturally that suddenly become revealed when we shoot with a macro lens. It is fascinating to uncover tiny details in everyday objects. Playing with abstracts of textures or just exploring the things we cannot normally see are possible with the 100mm macro lens. The ordinary becomes extraordinary when you can get up close and personal. When my camera is mounted on my tripod, I know that I can get sharp focus with a very narrow depth of field on a very small subject. I am not a portrait photographer but I do have cats, and they are fun to shoot with this lens as it picks up so much detail. I personally struggle to sucessfully handhold my 7D Mark II with this lens and get sharp images, so I don’t shoot with it off my tripod very often. 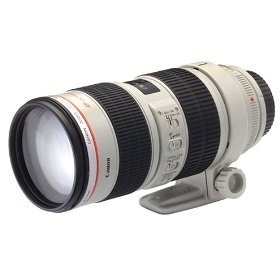 The Canon EF 100mm F2.8 IS L Macro lens – full specifications on Canon site – 625g, minimum focus distance 300mm, Hybrid Image Stabilization for handheld macro shooting. Overall for me, the pros of shooting with this lens far outweigh the cons. Have you used the Canon 100mm macro lens or one similar? Please share in the comments below if you enjoy it as much as I do.